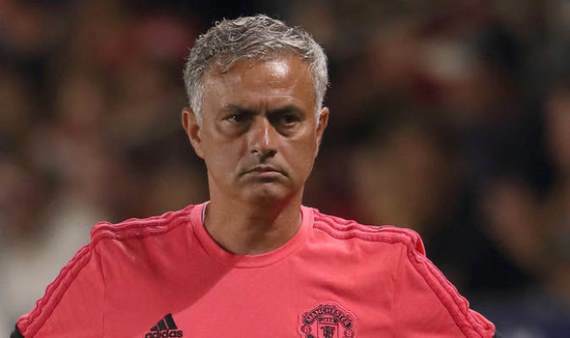 Manchester United manager Jose Mourinho says his side have fallen behind other top teams in the Premier League as they failed to bring in quality players ahead of 2018/19. Mourinho did spend 80 million on the signings of Fred and Diogo Dalot however it was other sides associated with the top four race who were arguably more active in the transfer market. Only Tottenham Hotspur did not bring in any new players though the Portuguese says the Lilywhites did not lose any great quality. He told Sky Sports: "The distance [between United and top four] is something I couldn't predict. "You always think in a positive way, you always think the distance is not going to be so big. "But I said clearly, last season we didn't get the credit we deserved. To finish second, to play the FA Cup final and to qualify as winners in our Champions League group, we didn't get the credit we deserved at all. "All the teams they got better, Spurs was the team that did not make a direct investment, but the best investment is to keep the top players that you have. So every team got better and we didn't." "Against Southampton, three hours before the game I don't know the team that is going to play. "We were waiting and waiting to see who could [play] and who could not. And we are in a very similar situation this time. "If the game was at 11 o'clock [in the morning on Tuesday], I would say Chris Smalling is not playing, Eric Bailly is not playing, Phil Jones is not playing, Victor Lindelof is out of the question. "Antonio Valencia is not playing, Luke Shaw is a doubt, Matteo Darmian is back, but I have to wait, I have to select probably everybody again and take everybody again. "Maybe [on Wednesday] we have to decide, like in the last match, with a couple of hours before the game."